"Thank you so much for our amazing wedding cake Flo! It was just perfect, even better than I thought it would be. The chocolate cake is honestly the best chocolate cake I have ever had!! We're already thinking of when we can order another one!" At your design consultation we will talk through ideas and create a unique design inspired by pictures of cakes you love. 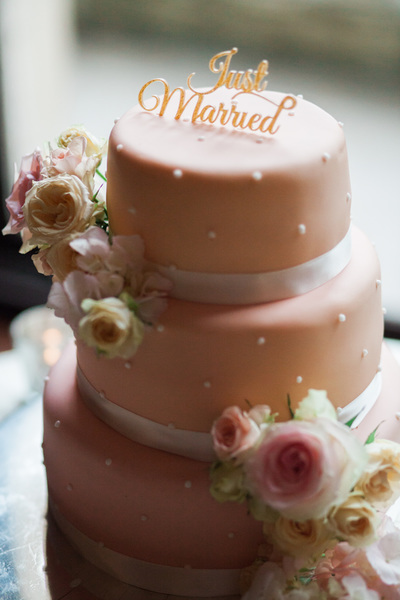 We'll offer our guidance to help you decide on the perfect cake for your wedding or event. Of course, tastings of our classic, most popular flavours will be available at consultation. If you do not require a consultation, (maybe you already have a photo or sketch of your perfect cake for us to replicate) or if you unable to attend a consultation and would prefer to deal with us via email and telephone, we offer a complimentary box of tasting samples each box contains small portions of each flavour :- chocolate fudge cake, classic vanilla and zesty lemon, please call or email to request one. No added extra fees - tasting samples, set up, delivery (beyond 10 miles surcharge will apply), and a design consultation are included as standard as part of our Bespoke Service. If you have a strict budget to adhere to, we'd be happy to offer our advice on how to achieve the look of your dream cake but keep within your budget, call or email us, we'd be happy to hear from you. Contact us here. With this service we offer an affordable solution for couples wanting an elegant and beautiful wedding cake, at a price that won't blow the wedding budget. 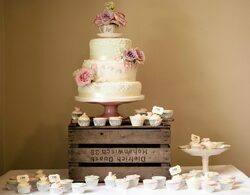 It includes Naked, Semi Naked, Rustic Buttercream and our collection of simple but elegant designs. (pictured below). 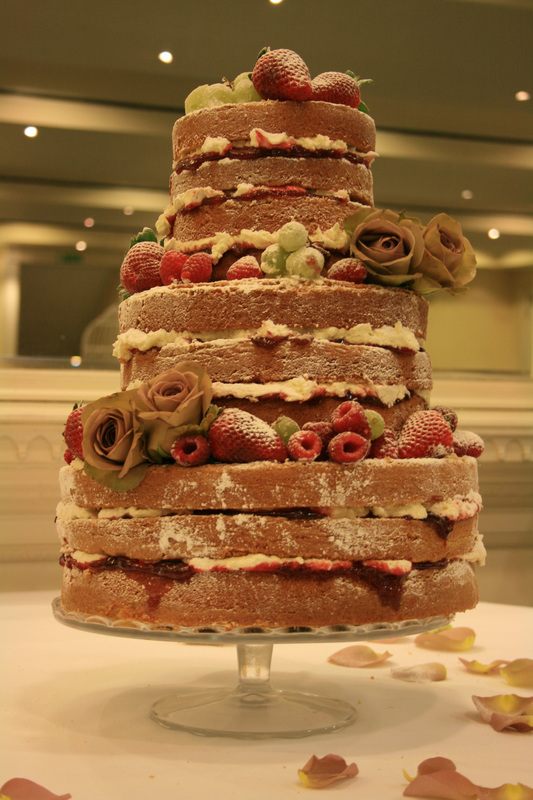 The Simply Eat Cakes wedding cake design range can be seen below. The designs are all able to be subtlety altered to compliment the theme of your day, small tweaks to the designs are very welcome. ​Add-ons such as sugar roses, sugar flower sprays, initial plaques or brooches are also available (may incur small supplementary cost). Portions given above are dessert style portions 2" x 1" x 4" and in brackets we have provided the portions guide for smaller, coffee finger portions 1" x 1" x 4"
In order to keep this service affordable, all our Simply and Naked designs do not require a design consultation. Simply choose the design, size, shape, colour option and cake flavour, any optional add-ons such as sugar roses or brooches, and we will take care of the rest. Whilst we can provide any seasonal fruits and berries, we ask that fresh flowers, (if you would like to have them) should be supplied by your florist and we will arrange on your cake on the day. ​ When you are thinking of ordering a 'Simply Eat Cakes' cake we offer complimentary tasting samples. Each box of samples contains small portions of each flavour :- Luxury Rich Fruit Cake (upon request), Chocolate Fudge Cake, Classic Vanilla and Zesty Lemon, please call or email us to request a free sample box via postbox friendly mail. Free Delivery & Setup Included - within a 10 mile radius, delivery and set up at your venue. We are proud to be one of the very few cake makers in the UK who have imported and invested in CakeSafe - the safest method of transporting your wedding cake. A truely ingenious piece of equipment currently only available in the US.